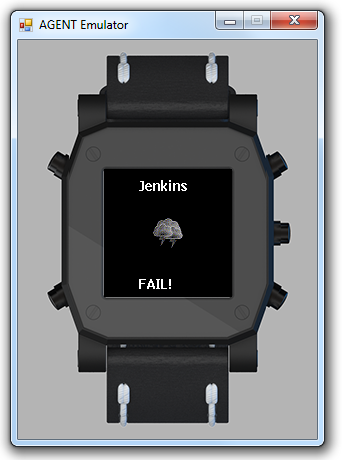 Almost a year ago there was a Kickstarter campaign to found a first .NET Micro Framework watch: Agent smartwatch. 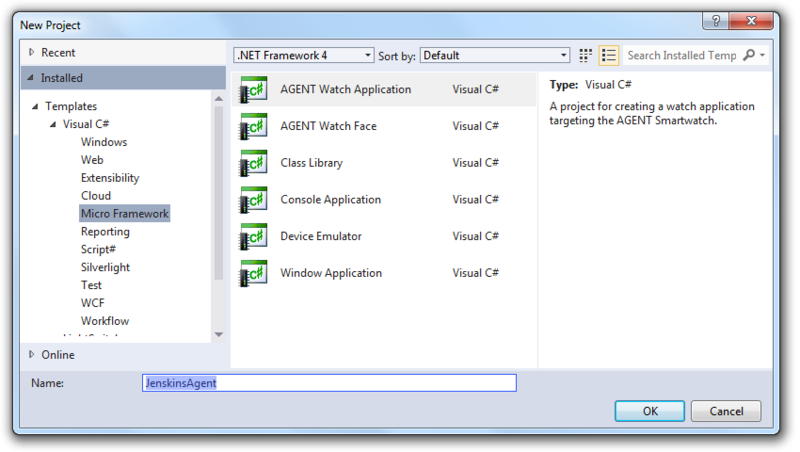 Nice thing about it is that you will be able to program it using C# and Visual Studio. While we are still waiting for the product there is a SDK with an emulator. It is from the same guys that gave us Netduino! I decided to check it out. 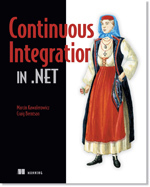 Think about it: you have a Continuous Integration server running your builds and you want to monitor it on the fly. Is there a better device to do it than a wrist watch? So I thought and decided to check it out. I’m using Jenkins as my Continuous Integration server. It has a set of APIs for the developer to use. I decided to give Json API a try. Which gave me a Hello World application. Now I went to hack and slash over over the result to find out everything is all right. That’s the screen with the failure notice. I can’t wait to get the Agent Watch to make the final app!